In the wake of the endless delays and ultimate cancellation of would-be album UR, Hard II Love is surprise released without any of the fanfare. It is his first since 2012’s Looking 4 Myself and the latest in a career spanning over 20 years. While the last few of Usher’s projects have largely abandoned his R&B/Soul beginnings, working with well-known pop producers and aiming for monster hits like the tepid “OMG”, here he uses the diminished amount of attention on his music to return to his roots. While it is nice to hear Usher using his voice the way it was meant to be used again, hitting all of the strengths of a tried and true sound, the project is ultimately a bit too derivative to be truly enjoyable. The album’s second track serves as a microcosm and a signpost of the type of album that lies ahead. It has many strengths, but one overwhelmingly nagging thing that takes away from the song as a whole. “Missin U” had to potential to be not only the album’s best, but possibly a return to Usher’s hitmaking abilities without the obnoxious pop sound. The instrumental, provided by notable R&B hitmaker Pop Wansel, is energetic, fun and bouncy, combining trap-style beats with repeated samples of Usher’s pitched-down speaking voice for a very uptempo and rhythmic sound. If the song had kept to this hip-hop tinged R&B style, it would have been excellent. But as it transitions to a chorus which sounds incredibly out of place, the song falls apart. The transition from trap 808s to live drum instrumentation and horns does not work as well as it might sound in theory, and Usher’s turn from dark and gritty vocals you might find on a Weeknd project to the happy and triumphant chorus is very strange. One of the biggest strengths of the album is Usher’s voice itself. Its expressive and seemingly endlessly adaptable nature overrides some of the weaker displays of songwriting on the project. Tracks like “Bump” and “Need U” display instantly catchy melodies mixed in with impressive vocal performances despite rather inane lyricism. The joy Usher has for singing and performing is quite evident, as he runs up and down the scales with ease. You can hear the smile on his face as he delivers the main melody lines — an ascendant “Girl I need you now” or the falsetto “Bump bump bump” which drives the appropriately named track. His list of collaborators is pretty impressive too — production of “Bump” was handled by two R&B producers approaching legendary status, The-Dream and Tricky Stewart. Other superstars like Paul Epworth, Metro Boomin and PARTYNEXTDOOR show up as well. What detracts from Hard II Love is its lack of originality. While returning to R&B was certainly a step in the right direction, there is nothing on this project rivaling classics like “You Make Me Wanna…”, a song which incredibly turned 19 years old last month, or even the height of his popularity on Confessions. Usher’s return to R&B shows him being satisfied with riding the trends begun by current superstars of the genre like Ty Dolla $ign and Bryson Tiller. The fact that “No Limit” was promoted as this album’s lead single and biggest hit over this past summer is telling – the Young Thug-featuring track has none of Usher’s personality of artistry and sounds like it was created by an urban hitmaking robot. 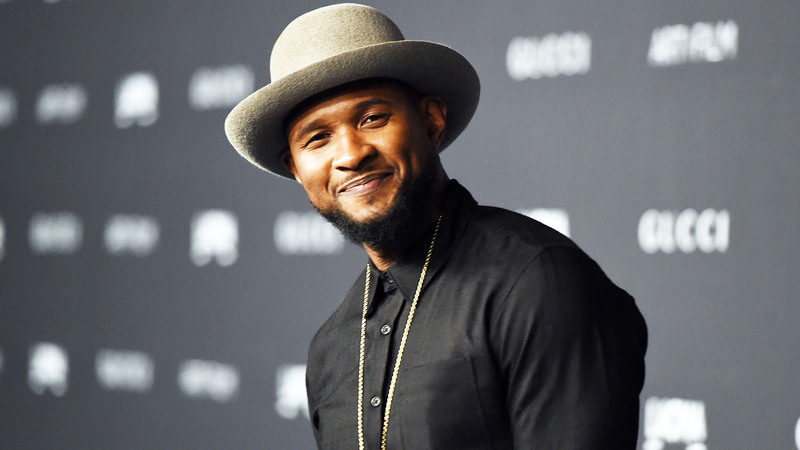 Despite Usher’s engaging vocal presence on the album, as it extends closer to hitting the hour mark the similar-sounding tracks begin to get boring. These songs are not particularly bad, but neither are they memorable. At least, unlike many of his contemporaries, there is no need to rely on Auto-Tune. The bright light in the album’s second half is “Tell Me”, an eight and a half-minute experimental track driven by steadily building synths as Usher’s voice takes on an atmospheric quality. The song features falsetto strains echoing and bouncing off each other as the song slowly morphs and changes through its many parts. At its emotional height, it is an extremely powerful track. Unfortunately, it is the only effort to do anything interesting on the project. 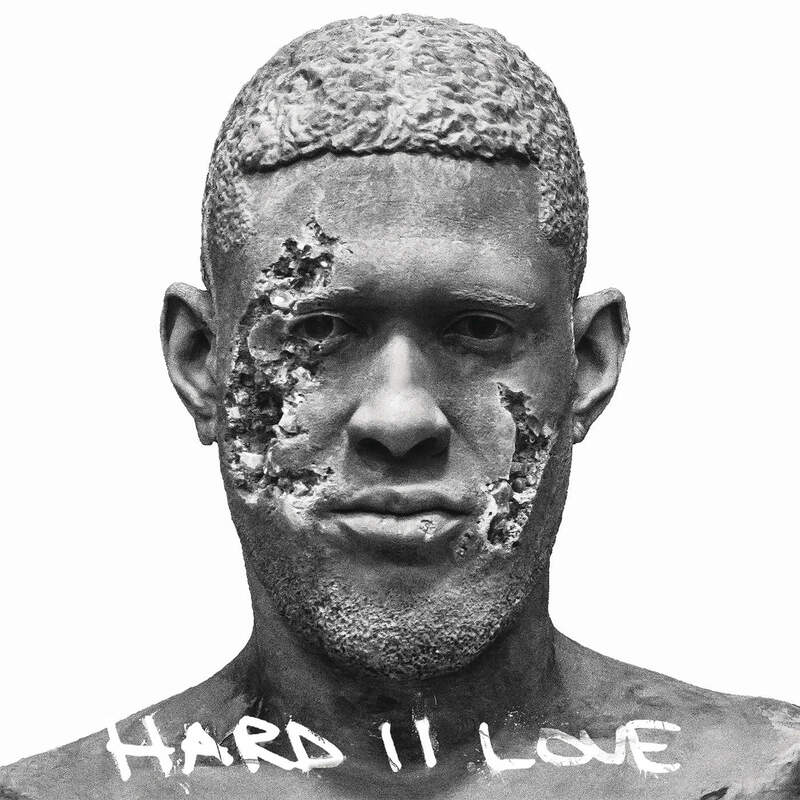 Hard II Love marks a surprising return to form for the aging former child star and world-dominating R&B force. It is hard to believe this is the same artist who once sold 1.1 million copies in his first week 12 years ago. Now in this third stage of his career, less spotlights are focused on him, leaving more room to focus on the music. The first step is complete, a return to the genre he thrives in. Will a return to his own personality and artistry soon follow?